Review the information in this section next time you visit a bookstore, shop online or take a trip to the library and you’ll end up making the best buying or borrowing decisions you’ve ever made. This section will help you find books at an appropriate reading and interest level for the children in your life. Tracking down books that can make a positive and memorable contribution to a child’s life has never been easier! When faced with the sea of possibilities in choosing children’s books, there are a few basics you should consider to help you evaluate the quality and suitability of a book. Stories that have an intriguing plot and an interesting setting. Themes that would appeal specifically to your child. Language that is rich and evocative. Reading level and vocabulary that are age appropriate. Readability. Try reading a bit of the text aloud. Does the language flow or is it awkward and flat? Think about standards you would apply when choosing non-fiction books for yourself and keep in mind that children’s non-fiction should meet their needs with the same high standards. Is the information presented in a clear, logical and organized manner? Accuracy of information. Flip through the book to make a quick spot check for accuracy. If you find any errors you have reason to doubt the level of accuracy overall. Is the information up-to-date? In a book about Russia, does the text reflect recent changes in geographical boundaries, names and political structure? Check the date of publication and make certain you’re getting the most current information available. Who has written the book and what authority and qualifications do they bring to it? Is the information well organized? Is there a logical progression of information that will encourage understanding of the subject? Is the information age appropriate? Is it clear and simple for the younger reader and in-depth and comprehensive for older readers? Are the illustrations of a high quality and appropriate to the text? Is it fun? If the author is able to convey a sense of enthusiasm and energy for the material, you can be certain that excitement will come through to your children. Illustrations that breathe life into the text. Art that will promote a love of beauty. Illustrations that are synchronized with the text and appear with the part of the text they are meant to illustrate. The medium the artist has chosen, and its appropriateness to the story it illustrates. Look at the overall design of the book, including cover, size and typeface. For example, picture books should have bold, readable text and a shape that is welcoming to young hands. Reading is the most important skill children can learn. It allows them to develop imagination and intelligence and empowers them with a knowledge that enriches their entire lives. A love of reading is one of the finest gifts parents can give their children. The recipe for creating a life-long reader is wonderfully simple. Make books and reading a part of your children’s lives right from the start. And set aside regular time to read to your children from infancy to adolescence. Make regular visits to your local library and bookstore to help your children find the best books available. When children see adults enjoying a good book, they get a very important message – you never outgrow books! This section will help you find books of different genres that are appropriate for the young readers in your life. When choosing children’s books, there are a few basics you should consider to help you evaluate the quality and suitability of a book. Because comic books and graphic novels tell stories using words and pictures, both avid and reluctant readers alike will find these books appealing. Comic books are essentially longer versions of the short strips you tend to find in newspapers, and graphic novels are more complex, book-length comic books. The illustrations found in these books are intricate and encourage children and young adults to appreciate the melding of language and visual art. Comic books and graphic novels cover a variety of genres, including autobiography, biography, historical fiction, humour, fantasy, non-fiction and superhero. Quality of the characters, plot development, dialogue and pacing. Quality of the illustrations, colouring and lettering. Tie-ins to TV shows, movies, novel series and video games your child already loves. Autobiographical and biographical comics and graphic novels that help children and young adults become familiar with the lives and experiences of others. Non-fiction comics and graphic novels that present factual information in a fun and exciting way. Encourage the boys in your life to read wherever and whenever they can. In addition to a steady diet of good books, baseball cards, comics, instruction manuals, newspapers, magazines, and reviews of movies on the Internet are all great ways to get even the most reluctant reader interested in reading! Books that feature a boy as the main character. Books with powerful characters to care about and ideas to inspire. Books full of action and adventure. Books in series (for comfort) and books that stand alone (for new interest). Non-fiction books with intriguing facts presented in an appealing way with illustrations, photos and fact boxes. Books designed for browsing that boys can easily dip into and put down — with a selection of facts, jokes, stories, games and puzzles. Science fiction and fantasy to explore new and exciting worlds. Comic books and graphic novels with stories told through both words and illustrations. Books and magazines that appeal to your individual boy’s interests: sports, music, film, computers and other hobbies. Books with humour that appeals to their sense of fun. to learn about World War I, the Middle Ages or the Great Depression, historical fiction can be the perfect time machine. Books in which the author is writing from research rather than personal experience. Writing that seamlessly weaves historical facts and thrilling storylines together. Books that contain accurate historical information and vivid details. Books that help the reader better understand the differences (and parallels) between the present and the past. Books that include compelling characters that transcend time and speak to readers in a way they can understand. Balanced viewpoints and multiple perspectives on historical events. We often think of information books (also known as non-fiction books) as the perfect books for a school research project — and they are! But they also cover every topic from current events to sports to cooking! Good information books make factual information exciting and interesting. Vivid biographies or true tales of adventure can fire the imagination as powerfully as a good novel. 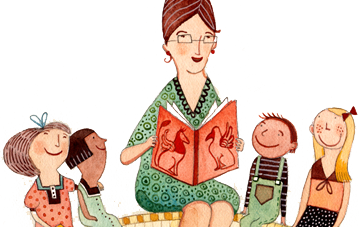 Factual books can entertain and inspire, move readers to tears and laughter — and teach along the way. Information that is presented in an age-appropriate manner. Is it clear and simple for the younger reader and sufficiently in-depth and comprehensive for older readers? Accuracy of information. Flip through the book to make a quick spot check for accuracy. If you find any errors, you have reason to doubt the level of accuracy overall. Up-to-date information. Check the date of publication and make certain you’re getting the most current information available. The authority and qualifications of the author writing the book. Well-organized information. Is there a logical progression of information that will encourage understanding of the subject? High-quality illustrations and photographs that are appropriate for the text. Writing that is able to convey a sense of enthusiasm and energy for the material. If the author is excited about the topic, you can be certain that excitement will come through to your children. Rainy days, quiet weekends and lazy afternoons don’t have to be boring — especially when there are things-to-do books for kids! A variety of craft and hobby books exist for children of all ages and can teach them how to make jewellery, draw cartoons, cook healthy snacks, and more! These books are fun to read and introduce children to new hobbies, activities and experiences. Some things-to-do books provide step-by-step instructions for exciting activities that can be done with items found around the house, while others require special materials that need to be purchased beforehand. There are even things-to-do books that already come with all the materials needed to carry out the projects. Plenty of creative ideas — you want your child to be introduced to activities and crafts they’ve never seen before. Strong how-to sections. Are the instructions easy to follow? Are they clear? Are they concise? Are they step-by-step? Books that balance detailed text with step-by-step illustrations or photographs. Books that are divided into chapters or have indexes, making it easier to find favourite activities and crafts for next time. Books that use inexpensive materials that can be found around the house or in local retail stores. From extolling the virtues of pizza to discussing alligator pies to telling about giants with colds, poems can cover every topic under the sun. Ear-pleasing rhymes, strong rhythms and laugh-out-loud punchlines make for kidapproved poetry. A good poem is fun to chant aloud over and over and helps children gain reading and performance skills. Reading poetry every day to children can make them more excited about words and language. Also, encouraging children to write their own poetry can offer them an avenue for self-expression. Poetry that is accessible, interesting and written just for children. Poems that start with engaging opening lines and offer an appealing build up. Poems that are carefully crafted and use metrical and rhythmic patterns. Poems that are funny and irreverent or serious and whimsical. Poems that are perfect for reading aloud. Action poems that get kids jumping, clapping and dancing! Poetry anthologies that introduce children to a variety of styles of poetry, types of poems and poets. Imagine exploring a world filled with magic, wizards, talking animals and make-believe creatures on a Saturday afternoon without ever having to leave your house… For young readers who love fairy tales, fantasy, science fiction and horror novels are a natural extension. Well-written fantasy novels allow children to expand their imaginations by introducing them to fictional, dream-like worlds that have their own politics, economics, religions and customs. While these worlds often seem quite different from our own, they are usually just enchanted versions of the world we are used to. Books that encourage young readers to dream and imagine. Well-developed characters, including worthy heroes and convincing villains. Strong female characters that are not stereotypical. Books that blur the line between good and evil and require children to seriously evaluate the actions of the characters. Books that present enough background information to enable the reader to understand the new world he or she is being introduced to. Books that contain maps of fictional worlds, glossaries of fictional languages, and keys to pronunciation. Calling all armchair spies, detectives and gumshoes! If your child likes a good mystery, there are several great Canadian mystery and whodunit books out there that are perfect for kids of all ages. Mystery and detective novels not only entertain readers, but they also help them practise their critical-thinking skills. They capture the reader’s attention with exciting suspenseful, clever and believable plotlines as well as likable, intelligent detective characters. Books with cases that require your child to read closely so that he or she can exercise his or her critical- and analytical-thinking skills. A solve-it-yourself case that gives the reader a chance to solve the case before the detective does. Books that are a part of a series so that your child can find a favourite detective and follow his or her adventures. Well-designed characters whose actions are consistent with their personalities. Detectives, suspects and witnesses should not act out of character simply because the plot demands it. An exciting, well-written story with several twists.